a. Glass-filled nylon PA material. b. Easily installed with the aid of a push button. 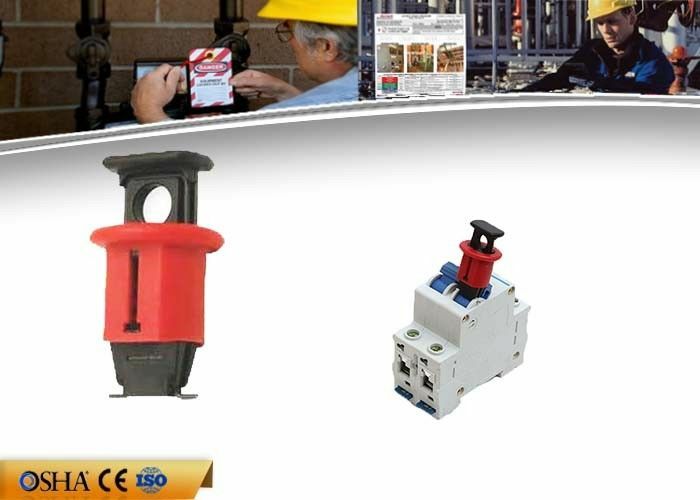 c. Fit most existing types of European and Asian circuit breakers. d. Recommended to use in combination with a padlock for added safety. e. Can take padlocks with a shackle diameter up to 7mm. f. Available for single and multi-pole breakers. g. Related MCB lockouts: ZC-D02(Pin in Standard), ZC-D03(Tie Bar Lockout), ZC-D04(Pin Out Wide), etc. 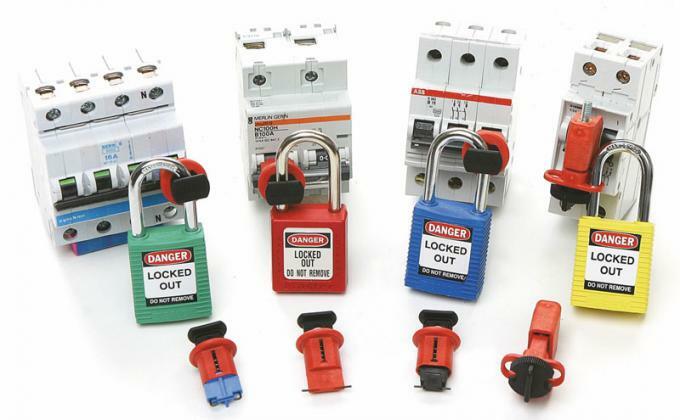 A range of 4 padlockable circuit breaker lockouts designed to fit most modern single and multiple pole miniature circuit breakers. 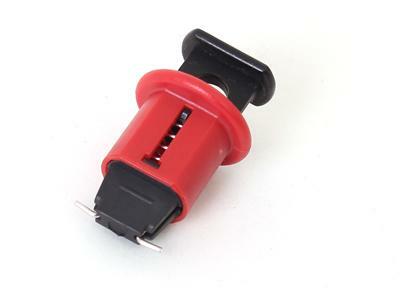 Manufactured from strong nylon, this range of miniature circuit breaker lockouts allows breakers to be locked off individually. We have tested 750 types circuit breaker, including normal brands, like ABB, Cutler Hammer, Allen Bradley, Siemens, Square, General Rlectric etc. a. It is very convenient to use and simple to install. b. Completely insulation, strong and durable. c. It complies with the OSHA standards. d. Multi-color for choices, that is advantageous for the division of labor management. e. Custmization is also available(OEM / ODM). a). Advanced upper teeth tyrapezid design, enhanced the strength of bite to handle, stainless steel shape design, keep the valave didn't change position,high qualit impact resistance and anti-chemical. b). Fix the c;amp on th ehand sharnk to avoid the trigger from closing. c). New style universal butterfly valve lockout is made of supper strong polypropylene and stainless steel. 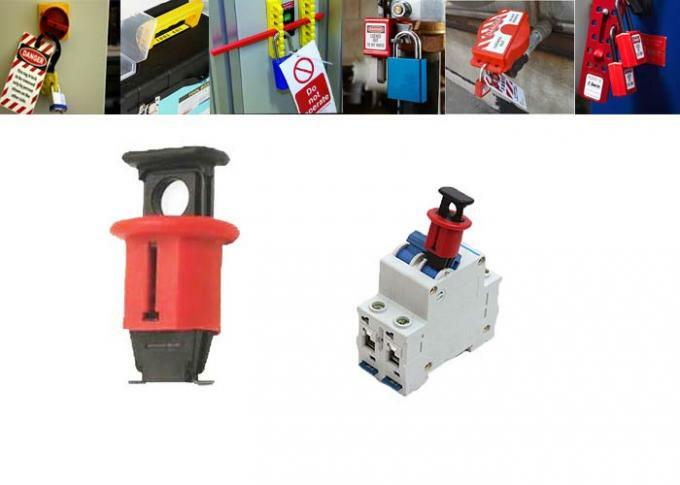 Our Safety Lockouts and Padlocks are widely used in chemical, electrical, automobile industry etc. Privide free, but buyer bear the freight. 1pc in one plastic bag. 20pcs/ box. All our products warranty period is one-year.